A State Farm customer on Monday gave the insurer a public ultimatum to pay to correct what she and a South Carolina reinspector say was inadequate work. “I will file suit against the State Farm defendant in this incident’s claim and against the Select Service shop within the week if a resolution isn’t produced within 72 hours for my existing claim,” Erin Harwood wrote in a heated email Monday sent to State Farm and media. She also threatened to “blast this debacle” on her personal and business social media accounts. “State Farm has not proven to be a ‘good neighbor,’ nor has it stood by its own-acclaimed ‘National, limited lifetime repair warranty..’ of its repair to my brand new vehicle by one of its own select repair service shops,” she wrote. 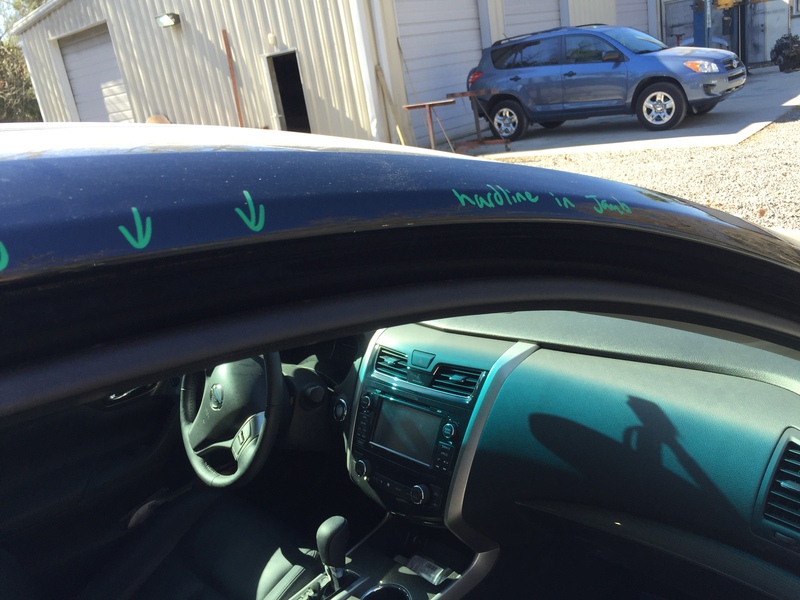 The insurer refused to pay more than a pittance for reinspector Ascue’s Auto Body & Paint Shop to correct the allegedly deficient work on her 2015 Nissan Altima, according to Harwood. Another State Farm customer had struck the car, she says. 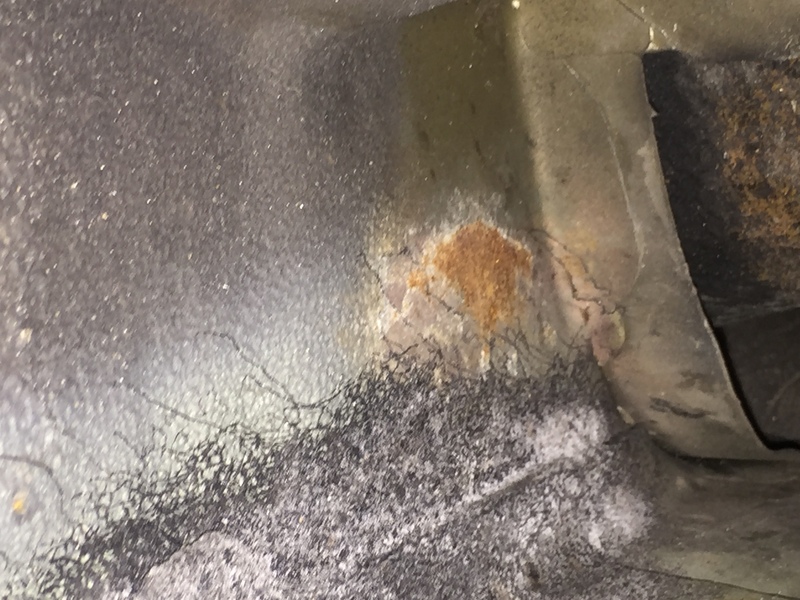 However, Norton & Richardson, the Select Service shop cited in Harwood’s email, said Monday it never was notified of any problem until the Altima appeared at Ascue’s about three months after the repair. Norton & Richardson partner Bill Norton said Monday his Summerville, S.C.-based shop agreed to perform the additional work, which he described as “cosmetic,” and absorb the cost, but Harwood wouldn’t return the vehicle there. “We just never had the opportunity,” he said. Asked in an interview about Norton & Richardson’s offer to work on the Altima, Harwood said she didn’t want them anymore following the reinspection. She trusted and wanted Ascue’s to do it, she said. “They have been so good with me all along,” she said. Asked about the three-month gap between the repair and reinspection, Harwood on Monday said she had been working on a diminished value claim since she picked up the car since the first time and requested the reinspection once it was suggested she do so. The insurer was only offering about $500 in diminished value after her brand-new 2015 Altima had been struck by another State Farm policyholder, she said. Wooten took State Farm to task for offering only $519 more to repair the issues. Ascue’s calculated the vehicle needed $5,423.03 in work, he wrote. He cited a Maaco quote that that the paint job itself would be at least $700 were the chain to do it. Both Wooten and Harwood describe Norton & Richardson technicians agreeing with Ascue’s findings. Norton clarified Monday that his shop agreed to fix the issues but disputed Harwood’s representation of their severity, particularly the description of the frame as unsafe. “We categorically deny any frame problem … and we’re going to defend that,” Norton said. 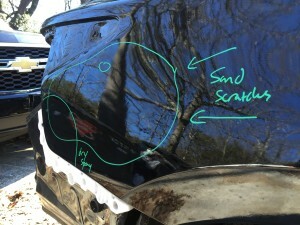 He did note that a State Farm assessment that a “pinhole” on the quarter panel could be buffed away was incorrect. “Buffing it’s not going to fix it,” shop staff agreed at the time, according to Norton. As for the corrosion Ascue’s reported, Norton said it was “really cosmetic too” and likely the result of normal wear. 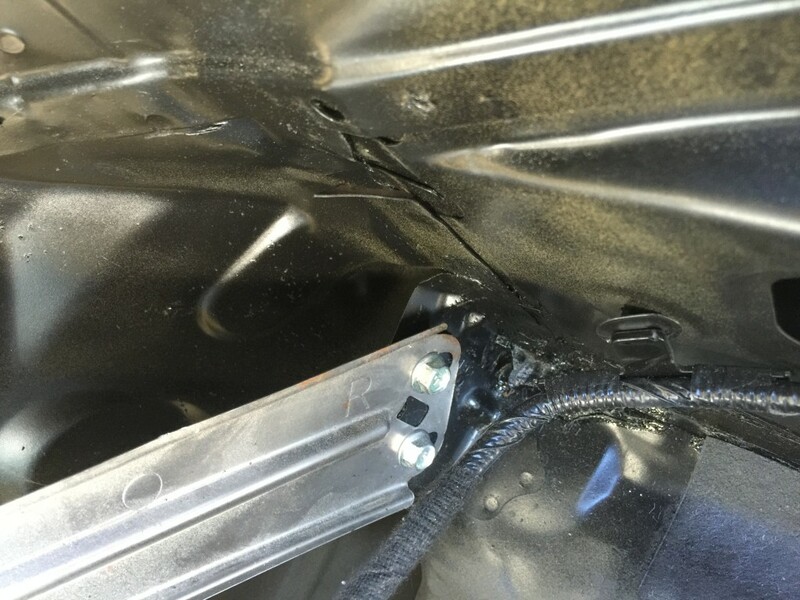 He said Norton & Richardson used weld-through primer as one means of corrosion protection and said another area in question merely involved seam sealer not quite reaching the edge. According to Harwood, State Farm refused to pay more than the $519 without yet a third estimate by a source other than Ascue’s Auto Body or Norton & Richardson. I received an ultimatum … with 2 options 1) I must accept the lousy offer to my 3rd party mechanic’s estimated repairs that don’t leave my car safe to drive, or as it was prior to the incident; or 2) I must take my car somewhere else for a “3rd, unbiased opinion” (specifying: that it not be Norton & Richardson, and not the current shop where my car resides), and to pay for an additional diagnosis that at my own risk. Despite the fact that State Farm’s representative is asking me to get in my car and drive it, when according to manufactures range of frame measurements, it is outside of the minimum for safety standards, I am not moving my car to another shop. I am not driving it anywhere until it is safe to drive. So this is how State Farm “helps people”? This is precisely the opposite! It is already at a 3rd party, licensed mechanic for diagnosis, with whom I trust the safety of my family in my vehicle more than any other repair shop that you can try to send me to. You cannot put a price tag on that folks, especially in situations like these. Furthermore, I have already risked my own income for 3rd party diagnosis and I was right. I will not risk another penny of my own income to fix State Farm’s defendant’s issues. State Farm has refused to talk with Harwood about the actual repair, as she has retained an attorney regarding the diminished value claim, she said. However, the attorney’s retainer for now only involves that matter, leaving her in limbo on negotiating the repair itself with the insurer, she said. 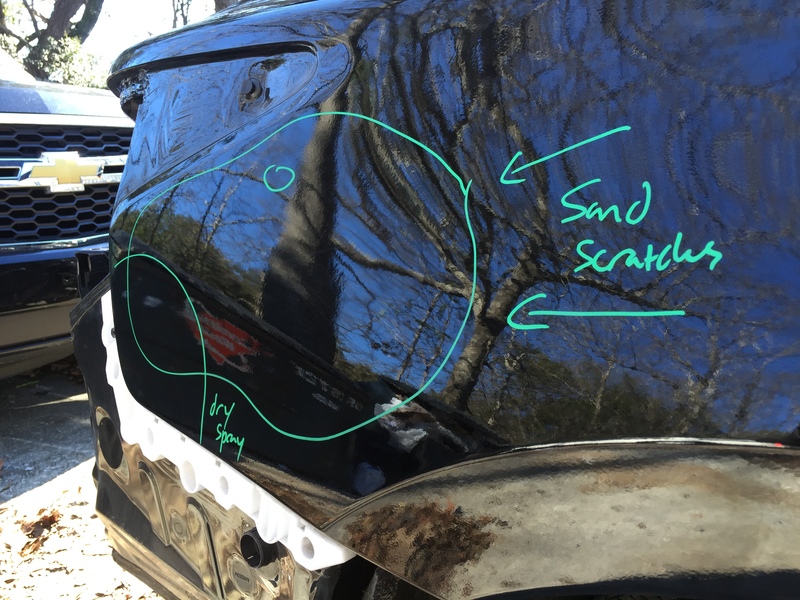 Strip away the dispute over the necessity of the work and the separate diminished-value battle, and two issues are also worth noting by the collision repair industry. The first is the controversy over State Farm’s assessment of how much the work Harwood sought would cost. (Again, not whether it’s needed, just how much it would cost). The various accounts of the meeting in question all seem to indicate an insurer representative incorrectly appraising the tab for at least one of the procedures. That’s worrisome if this unfamiliarity isn’t an isolated incident. The other is more philosophical: Where should a policyholder with a complaint over a repair be asked to go to have it addressed? Does the original repairer deserve a chance to handle the issue? Or should the insurer pay to send the customer wherever he or she desires if the customer expresses doubt about the original shop?